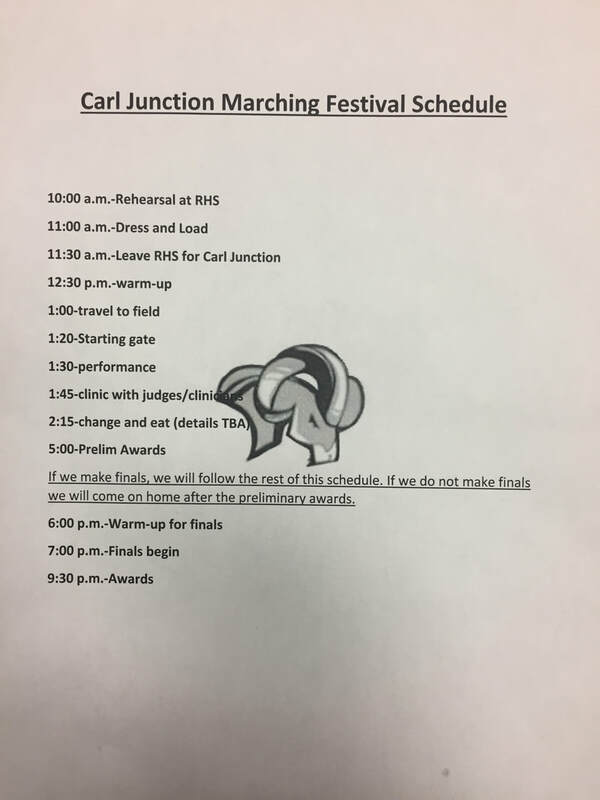 Carl Junction Marching Competition - RIVERTON RAMS MUSIC DEPT. 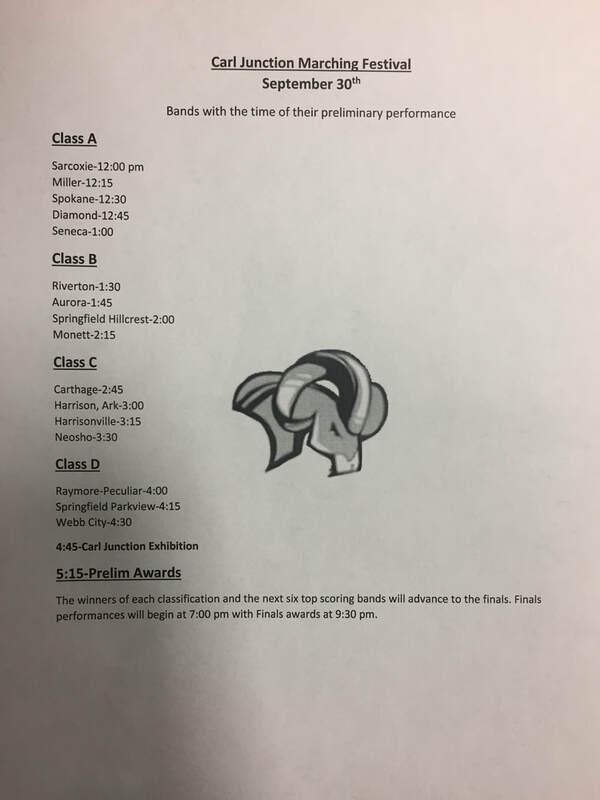 ​The Riverton Ram Marching band is preparing for their 2nd competition. They did well at their last competition in Miami, and are working hard to do even better. Come and see the band perform on September 30 at Carl Junction High School's stadium. ​ * Make sure to remember your band shoes and LONG black socks!